I have been wanting to make this box using the Afternoon Daydream Simply Scrappin' Kit from the Annual Catalog and figured I better do it soon since the Simply Scrappin' Kit is on the retiring list. The box can be found on page 166 of the Annual Catalog. I found some great instructions on making the box here! 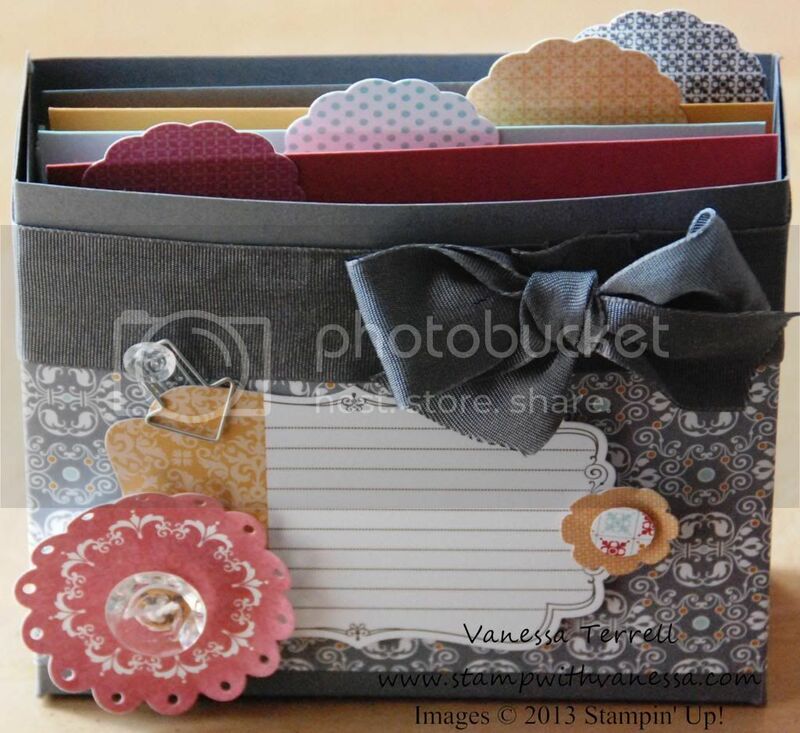 I love using Simply Scrappin' kits for things other than scrapbooking. I still have more supplies left over from the kit, so I think I will make some cards and perhaps a notepad or notebook with the leftovers. Here are my photos from my completed box! 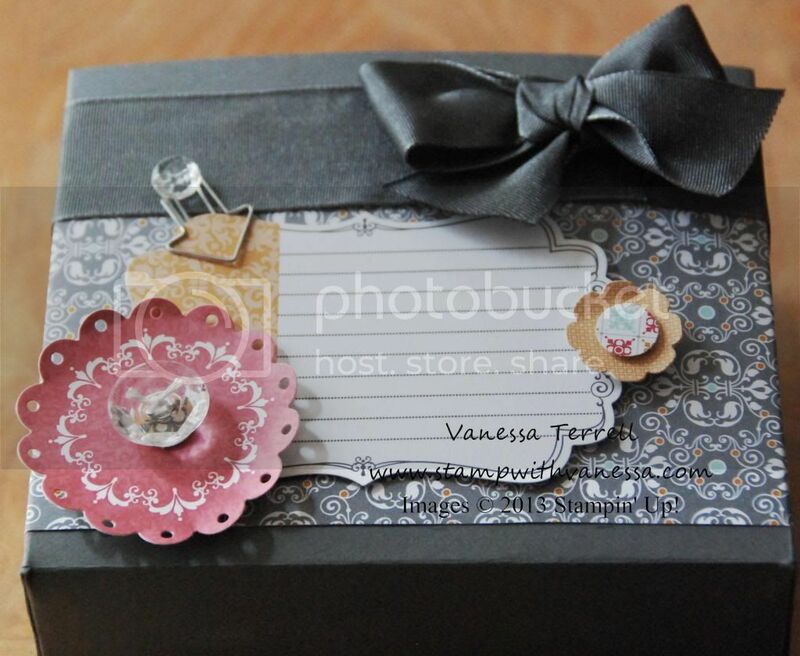 Here is the box standing up and you can see my divider cards that I made. Since I'm not sure how I will be using, this could be a recipe box, card box or note box I did not stamp on the front of this. Once I decide I will go back and do that.